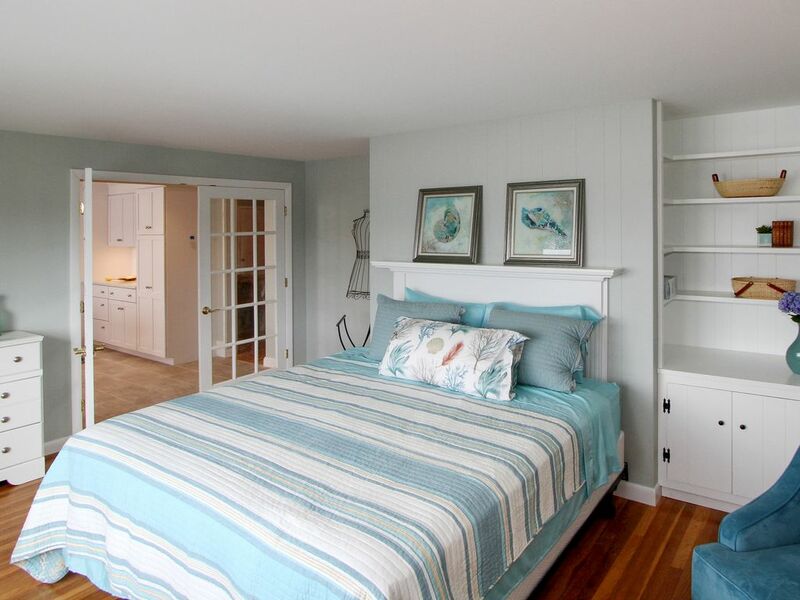 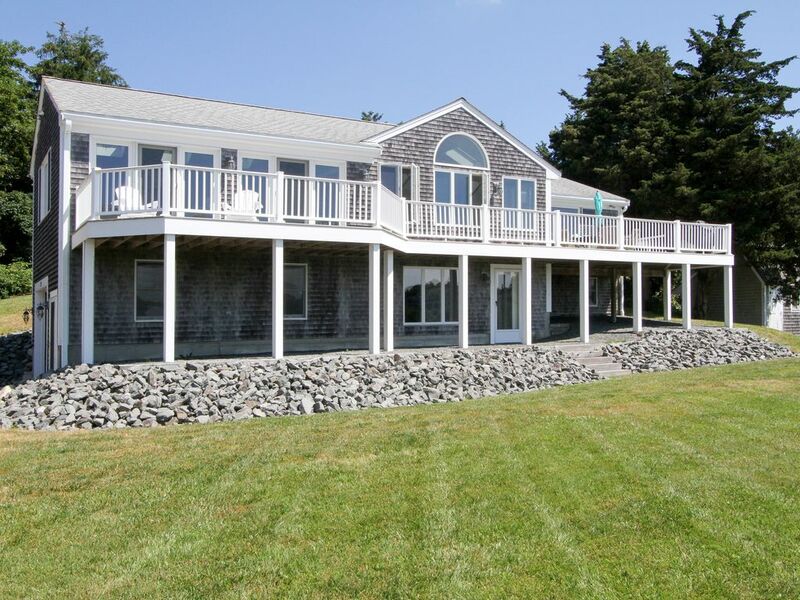 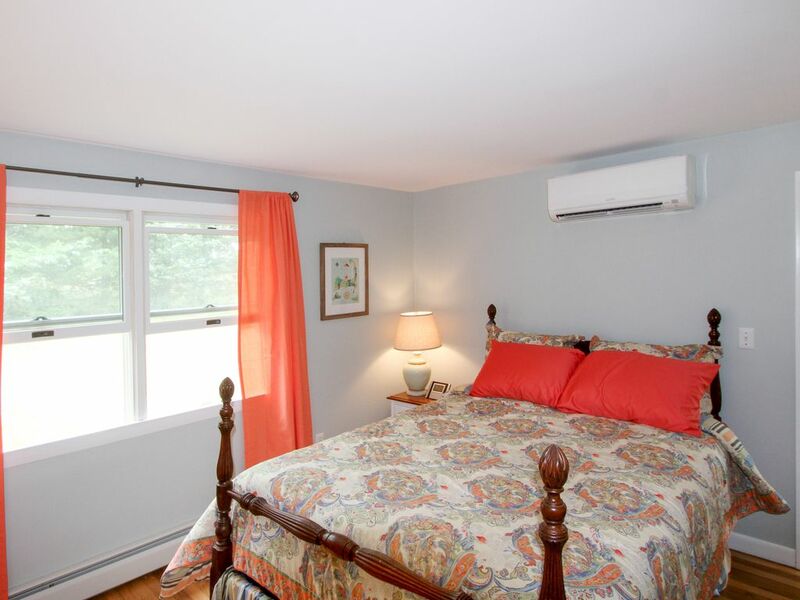 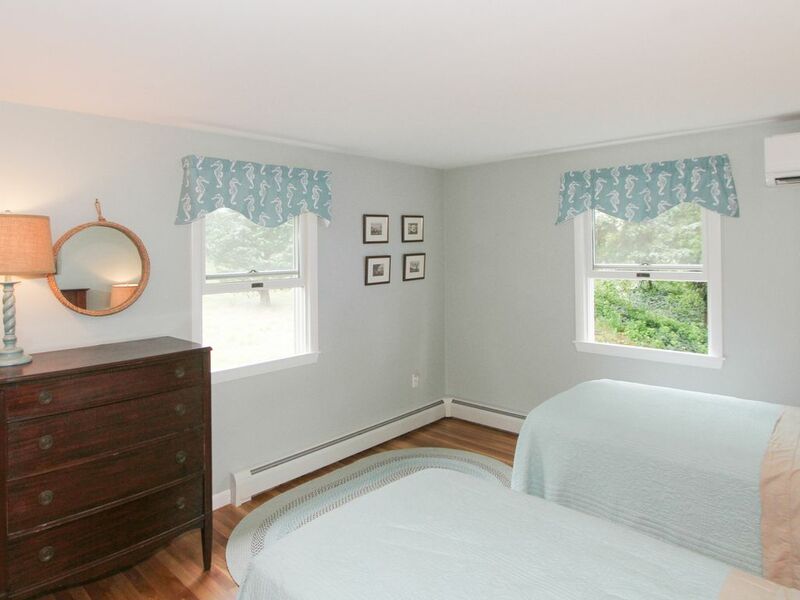 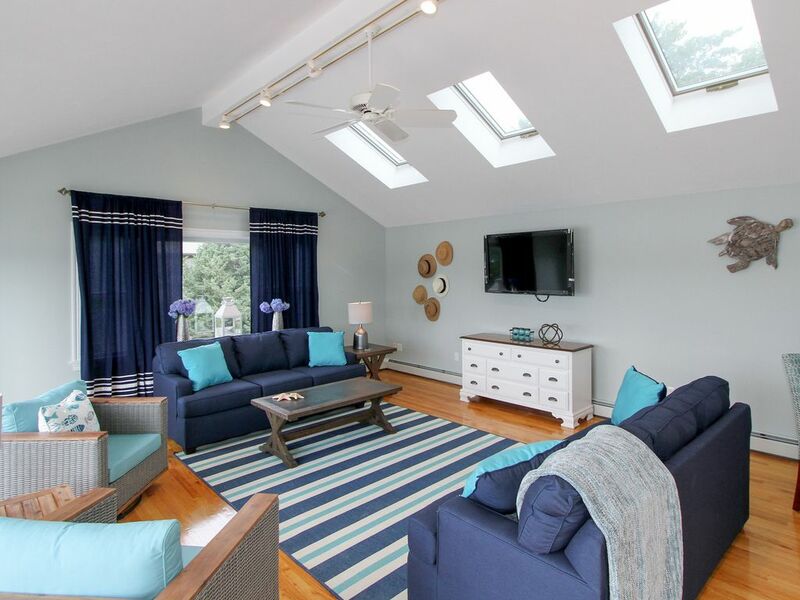 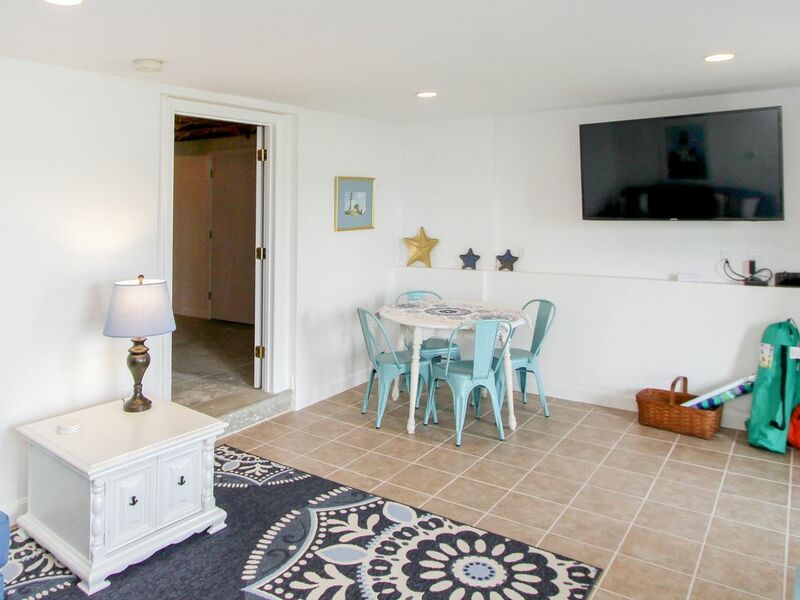 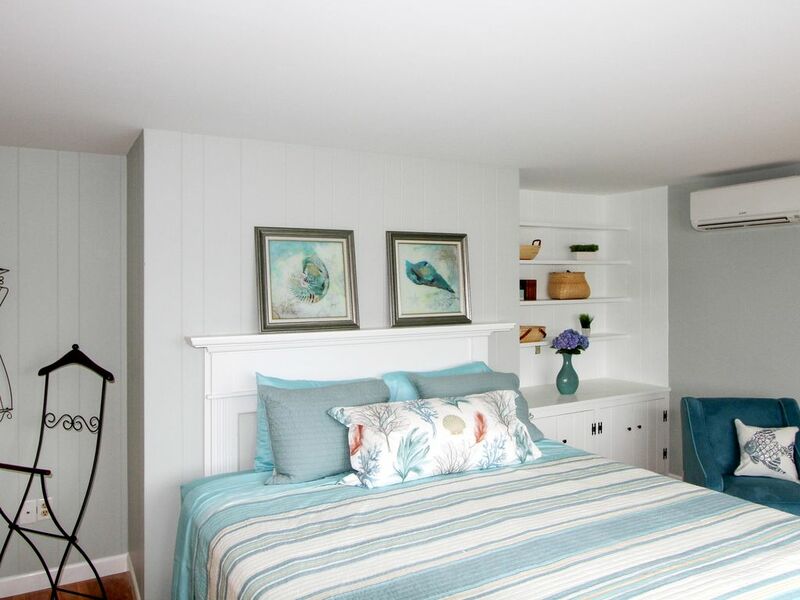 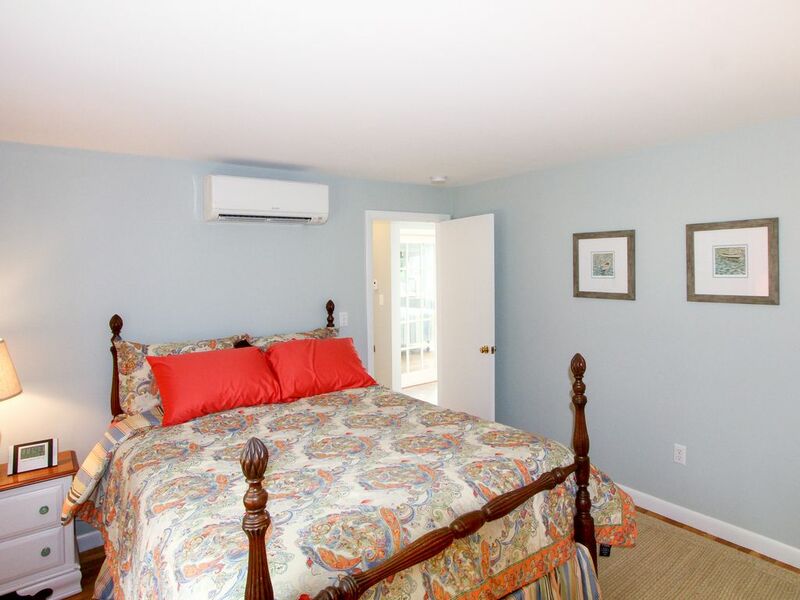 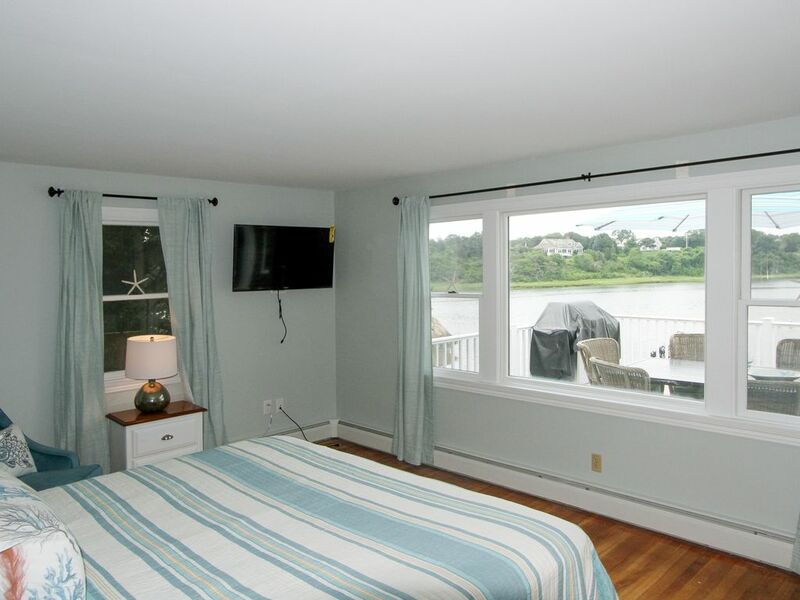 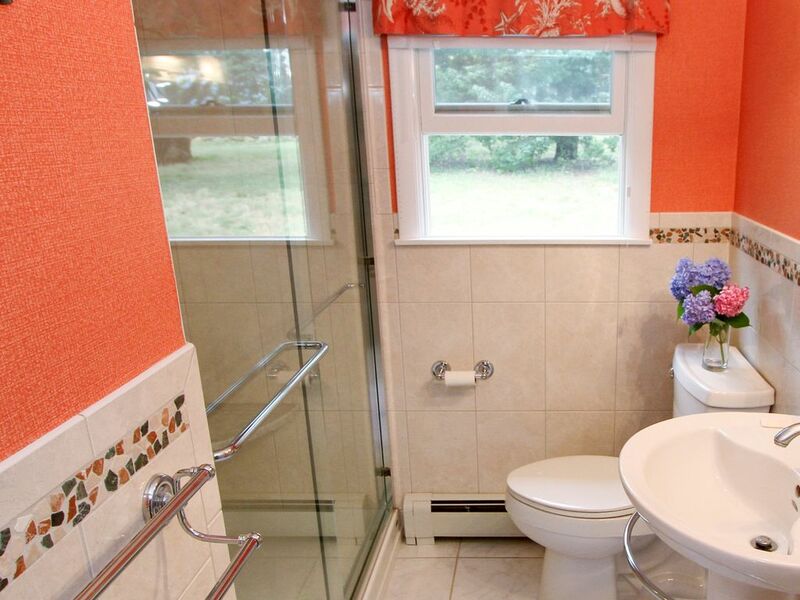 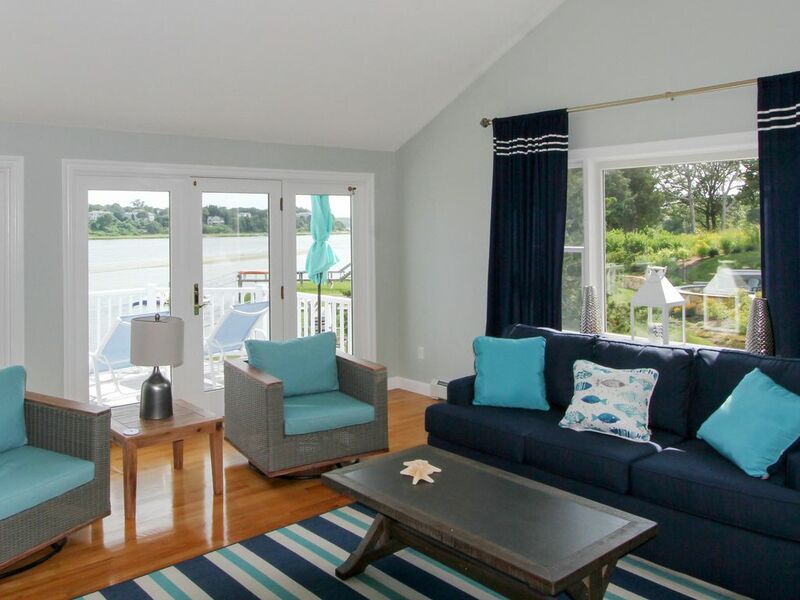 A blissful Cape Cod vacation awaits you at this 3BR home on Eastham's Saltwater Town Cove. 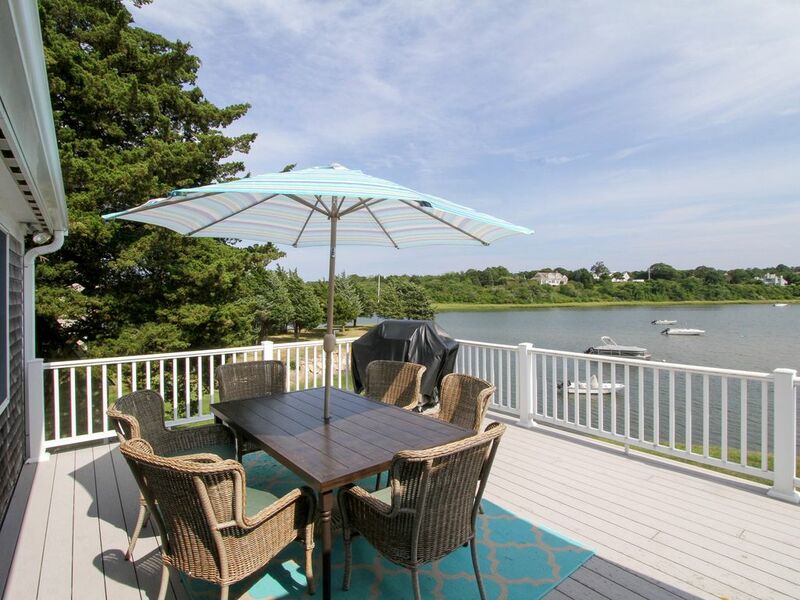 Bring your boat, kayak, or paddleboard for direct access to Nauset Inlet and the Outer Beach, or relax on the sunny dock for some of the Cape's best fishing. 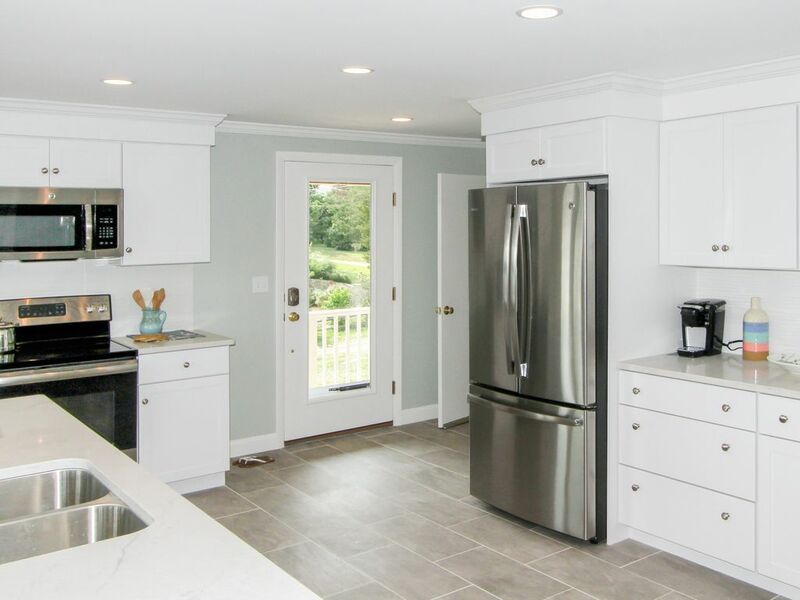 Newly remodeled with an open layout you will love the indoor/outdoor living at this home. 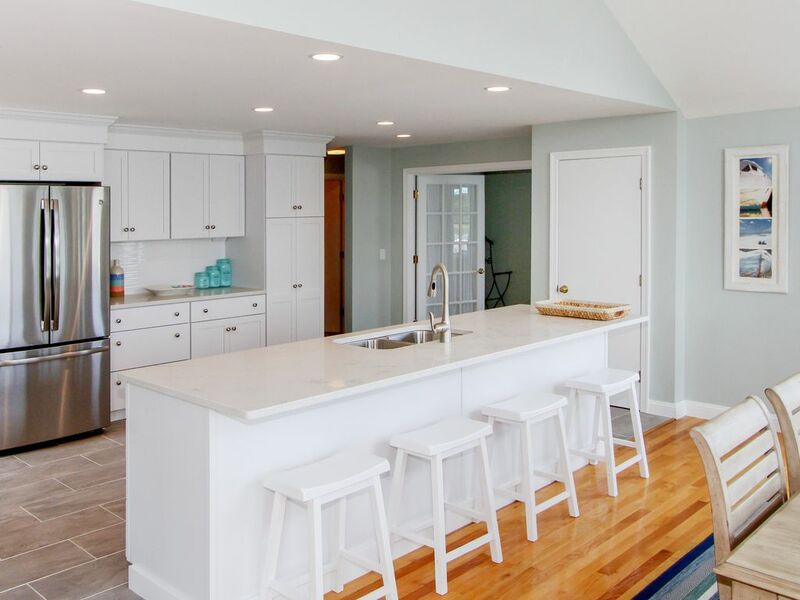 Offering two spacious living rooms, window-lined dining area seats eight for dinner gatherings, new kitchen which is a dream to cook in, and three peaceful air conditioned bedrooms. 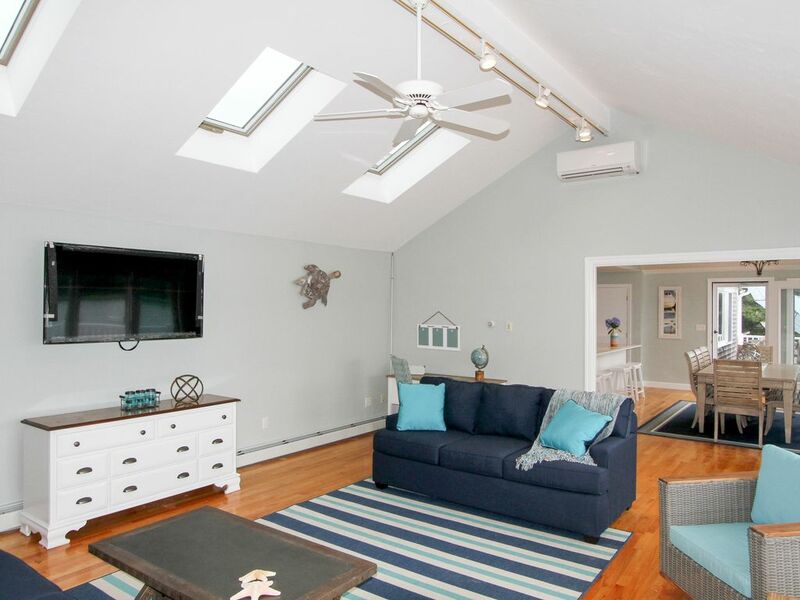 The downstairs living room is perfect for games or movie marathons. 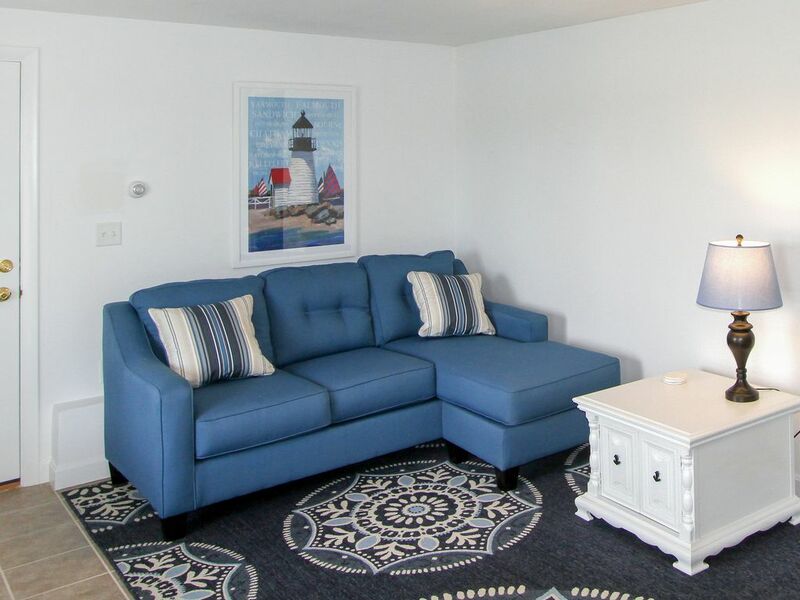 Sit down for an evening of card games at a round table for four, or settle into the couch and turn on the 45” TV. 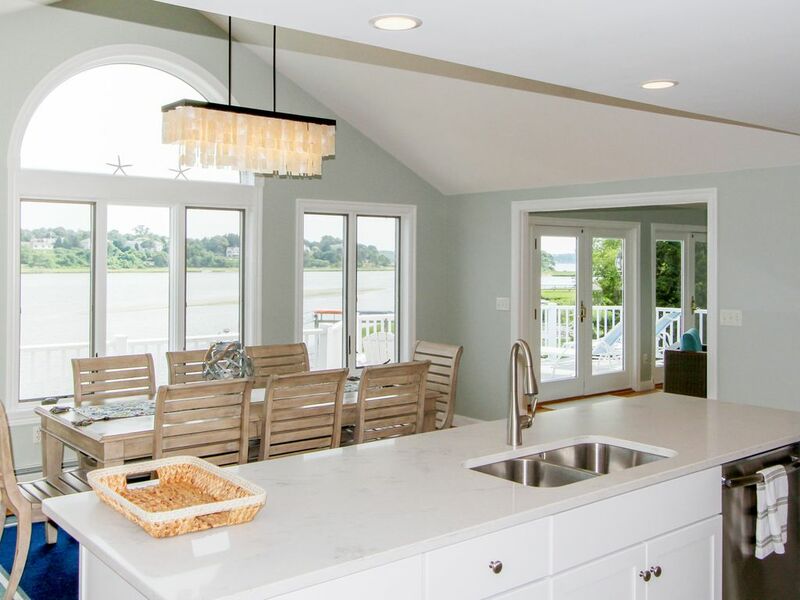 Stunning views of the cove can be seen through big windows.The huge deck is the perfect spot for al fresco dinners, sunbathing, or simply enjoying the view. 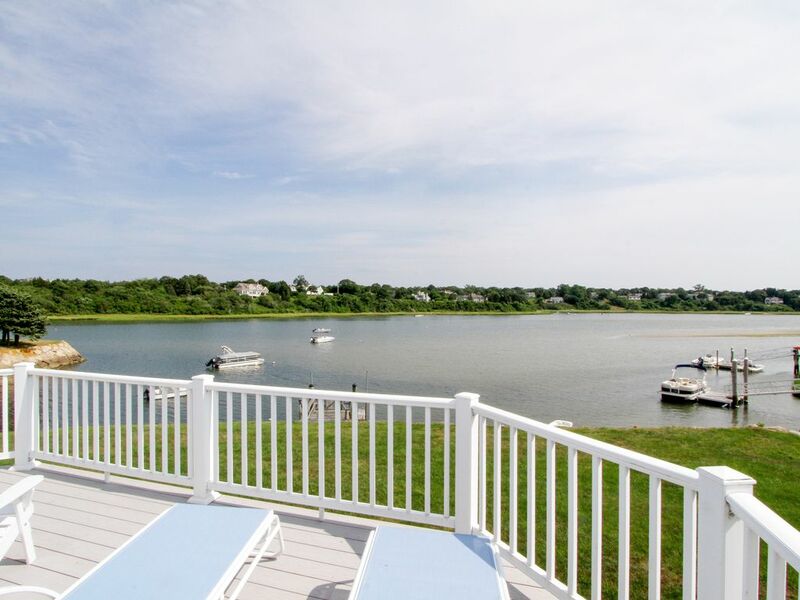 The lush green lawn rolls down to the waterline, where a dock awaits for your boat, kayak, or paddleboard. 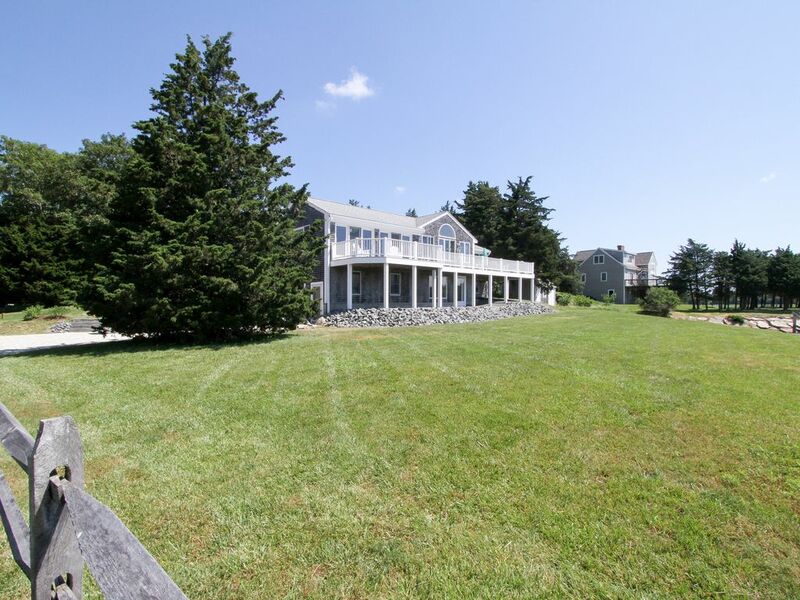 The National Seashore beaches are just 4 miles away. 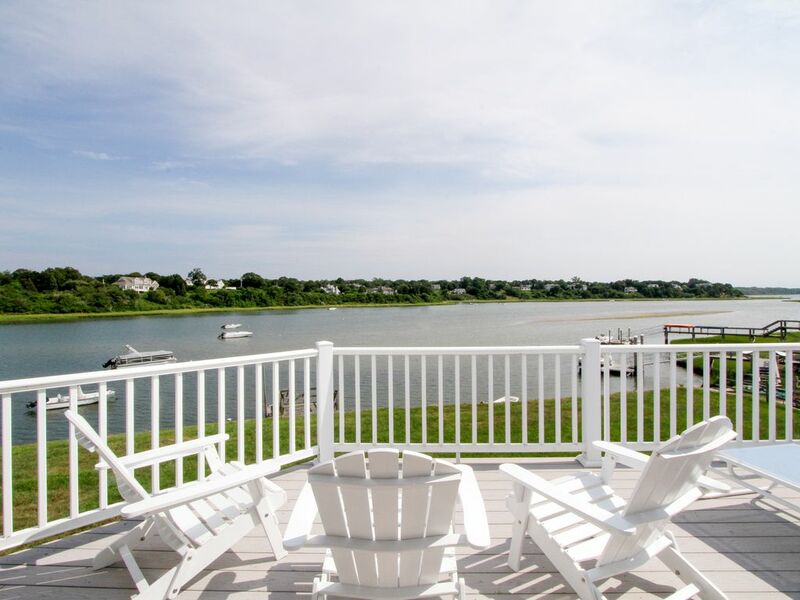 Dine at famous Orleans eateries The Knack and Big Dog's BBQ just over 1 mile from home; pick up fresh seafood for the grill at Nauset Fish & Lobster Pool a few blocks beyond. 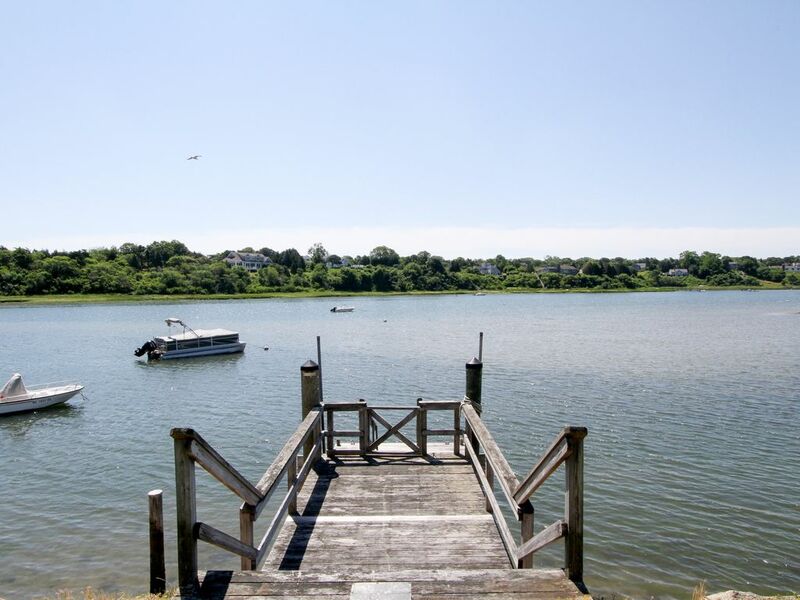 Discover more of the Cape's natural beauty at Nickerson State Park, just 12 minutes away by car. 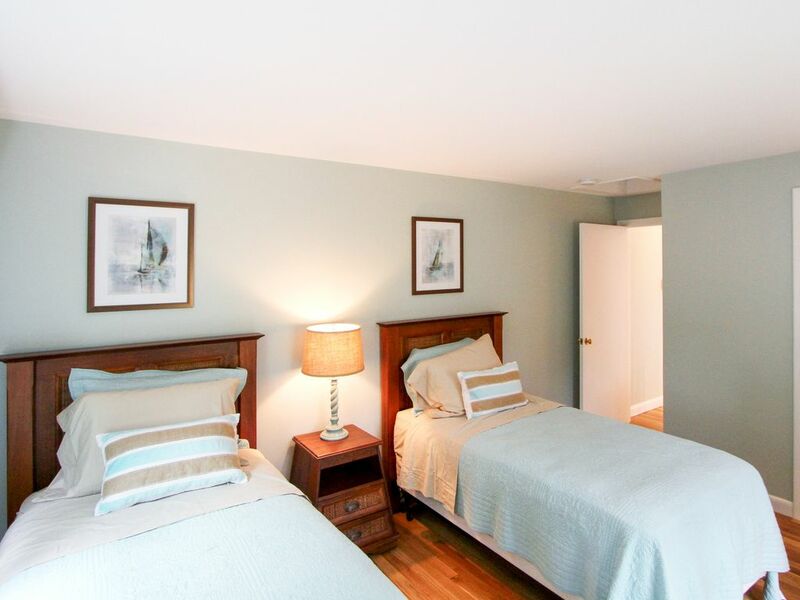 Non-refundable $135.00 Administrative Security Fee plus applicable state and local taxes. 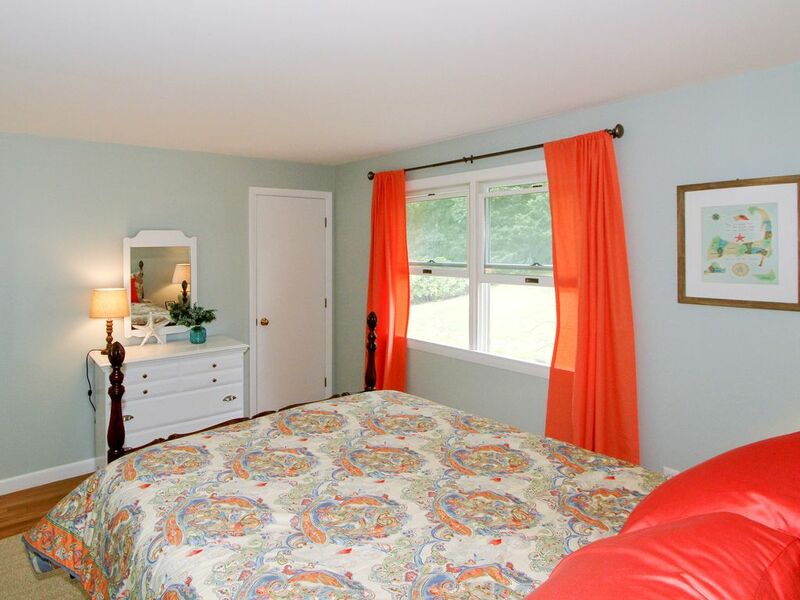 Linen package is available upon request for maximum capacity at an additional cost of $200.00.